You scream, I scream, we all scream for ice cream! And why not? 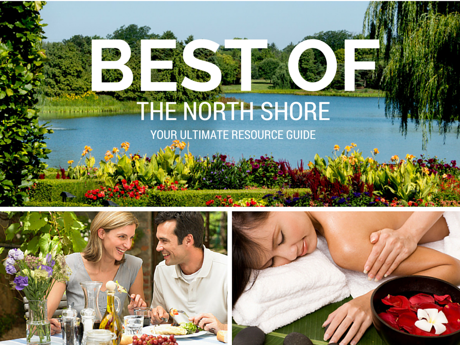 When it comes to a hot summer day, there is no better way to cool off then stopping by any one of these North Shore establishments to indulge yourself. But who am I kidding, it doesn’t matter if it’s the middle of Winter, I am always up for ice cream! Check out the list of North Shore ice cream, gelato and custard shops below (national chains not included). Please let us know if we missed any! From Ice Cream to hot dogs and everything in between, Hartigan's Ice Cream Shoppe has something for everyone! Hartigan's has more than 50 flavors including soft-serve yogurt and sherbets too, plus ice cream cakes, a bakery case, coffee bar and a full soda fountain menu. Serving frozen custard sundaes, concretes & more, plus a choice of toppings (with a drive-thru window). FRÍO Gelato® is proud to artfully bring Argentina’s gelato tradition to the U.S., offering consumers a natural, healthy, and unique dessert. FRÍO Gelato® is made in an allergen-friendly kitchen with a nut and gluten-free focus. No artificial flavorings are added — only fresh and natural ingredients. 100% homemade. Bright and cheery community spot for great coffee, pastries and Evanston-based FRÍO Gelato®. A North Shore favorite since 1935, Homer's continues to do ice-cream the old-fashioned way: thick, heavy, and so very delicious. 40+ flavors to choose from, plus sorbets, sherbets and frozen yogurt. The North Shore's newest ice cream parlor, Grater's is giving Homer's a run for its money. They have a few basic flavors, but what they're really known for are their signature "chip" flavors: Boubon Pecan Chocolate Chip, Salted Caramel Chocolate Chip, etc. Make sure to try the Black Raspberry Chocolate Chip. You won't be disappointed! Serving delicious soft-service ice cream to the North Shore communities since 1955! Old school establishment with outdoor seating only. Known for their quick service and huge selection of dipped and dried toppings. Open from April – October. Cash only. Graeter's has created small batch, french pot ice cream for over 147 years, featuring 30+ flavors including its most popular, Black Raspberry Chip. Not just chips, but rather chocolate chunks that melt in your mouth. shop also features chocolates and other sweet gift items. Baker Boys is a true "mom and pop" dessert shop owned and operated by long-time pals Pastry Chef Jordan Rappaport and Peter Rauser. In addition to delicious cupcakes and other sweet treats, they make and spin nine different frozen custards and sorbets daily. Artisan gelato, locally roasted coffee, homemade baked goods, soup and light lunch fare in a comfy rustic Italian setting. The only con, they close at 4:30 pm (2 pm on Sundays). 38 flavors of gelato and sorbet are made on site and served fresh daily. We also make milkshakes, root beer floats, sorbettinis and a variety of coffee drinks. A wonderful neighborhood ice cream parlor featuring super-premium fountain treats and signature chocolate-dipped frozen bananas. 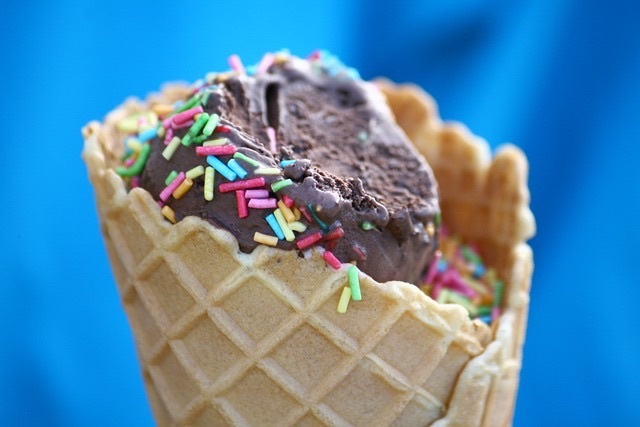 The ice cream comes from The Chocolate Shoppe, a family-owned dairy in Madison, Wisconsin. Don’t let the shared space with the local currency exchange front fool you. This quaint, family owned and operated ice cream parlor serves up the real deal. Just look for the big colorful ice cream cone out front and soon you’ll be savoring Mexican-inspired ice cream and homemade popsicles made with all natural ingredients plus unique flavors that you won’t find anywhere else. Beyond the delicious ice cream and old fashion soda fountain, Sweet’s offers a full array of chocolates, nuts, toffee, caramel and chocolate apples, brittle and so much more. Cute candy, ice cream and frozen yogurt shop, featuring tons of nostalgic and novelty treats.